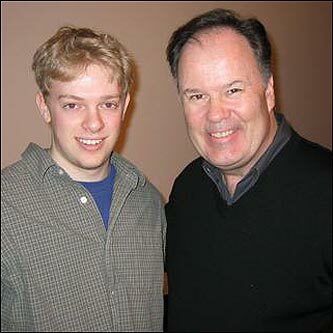 Bret Crafton (left), from Boston, and "Saved by the Bell's" Mr. Belding, Dennis Haskins, at UMass last year. Whether you are barbecuing in the backyard, or sprawled out on a blanket at the Esplanade, we're looking to capture our readers' Independence Day celebrations. 4. A brief description of what's happening in the photo. Where was it taken? Who else is pictured? By submitting your photo(s) to Boston.com, you agree that such photo(s) and the accompanying information will become the property of Boston.com and you grant Boston.com, The Boston Globe, Boston Metro and their sublicensees permission to publicly display, reproduce and use the photographs in any form or media for any and (all editorial and related promotional purposes) purposes.. You also warrant that (i) the photo is your original work, or is properly licensed, and does not violate the copyright or any other personal or property right of any third party, and (ii) you have obtained any and all releases and permissions necessary for our intended use. Your submission also allows Boston.com to edit, crop or adjust the colors of the image(s) on an as needed basis.